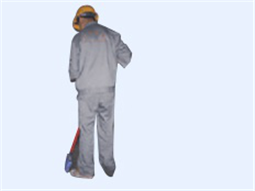 Large push cutter, Infrared ray level instrument, Panel lifter, Screw driver, Wax wires, Level bar, Adz-eye Hammer, Nail, Pencil, Flexible rule, Pedestal adhesive, Tool bag, Broom, etc. 1.Proper datum point can avoid the waste of room, the best choice is to set the intersection point of two walls which are rectangular as datum point. 2.If there is a ramp at door, or space for door to swing, the best datum point should be near door. 3.If designing or partition drawing has marked datum point,it can be considered as final. 2. 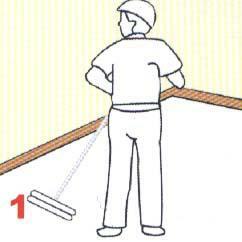 Observe the layout of room, install infrared paralleled scanner, mark paralleled line on half waist of wall, then find the lowest and highest point, calculate average value from ground to floor surface(this average value equals to owner’s required installation height), calculate and adjust the pedestal height. 3.Choose a corner as start point, find a parallel on wall, tie two paralleled wax wire 595mm from wall, two wires must be vertically distributed. 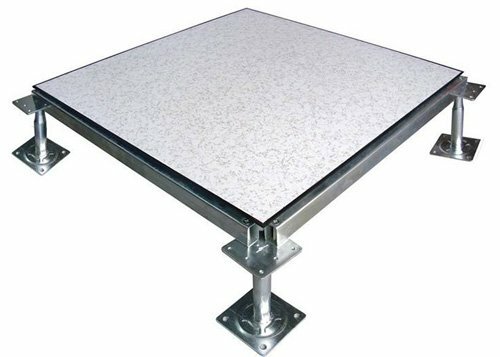 Then start to place pedestals, put flat head pedestal as corner pedestal(the line close to the wall), put cross head pedestal(aluminum head pedestal) as central pedestal. 4.While pulling the paralleled line, place raised floor on pedestals. 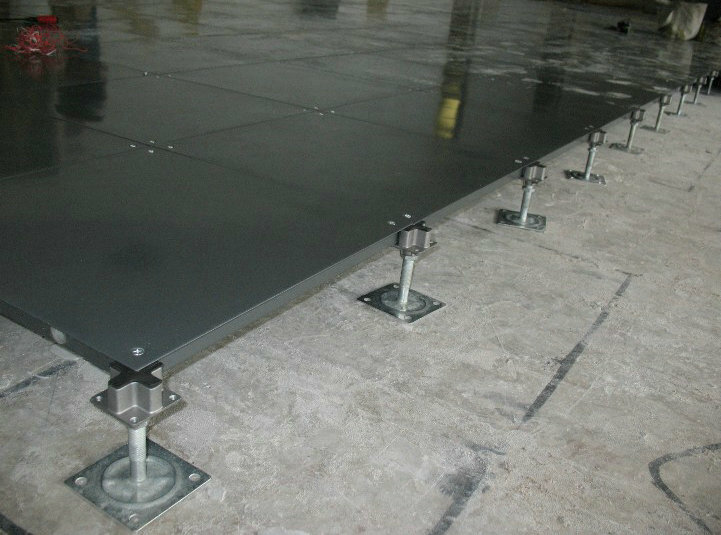 After confirming the height and placing the first floor, panels and pedestals must be fix with screws, use level bar to adjust floor, at last, lock nuts on the pedestals. 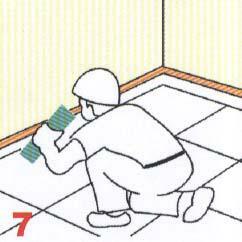 5.When the first floor is adjusted paralleled, vertically place two lines of floors in the direction of wax lines. Note: black glued edges between floors must be aligned and straight. 6.After vertically placing two rows of floors, find a direction(can not be vertically placed), paralleled place row by till the last row. Note: each edge should remain one row for final cutting and placing, while paving, floors can not be bended which may affect flatness. 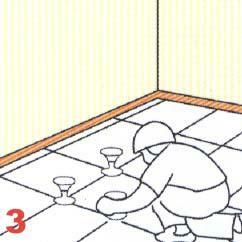 7.After placing last row, iron angles in each corner may be firstly fixed, then cut all-round floor. 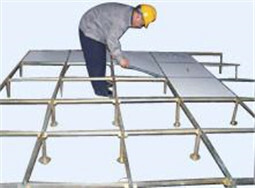 Normally floor of last row should be cut, the cut side can be put on flat head pedestal directly. Noted: iron angle should be paralleled to installed floor. Backing if iron angle should possess a support(flitch or angle bar). 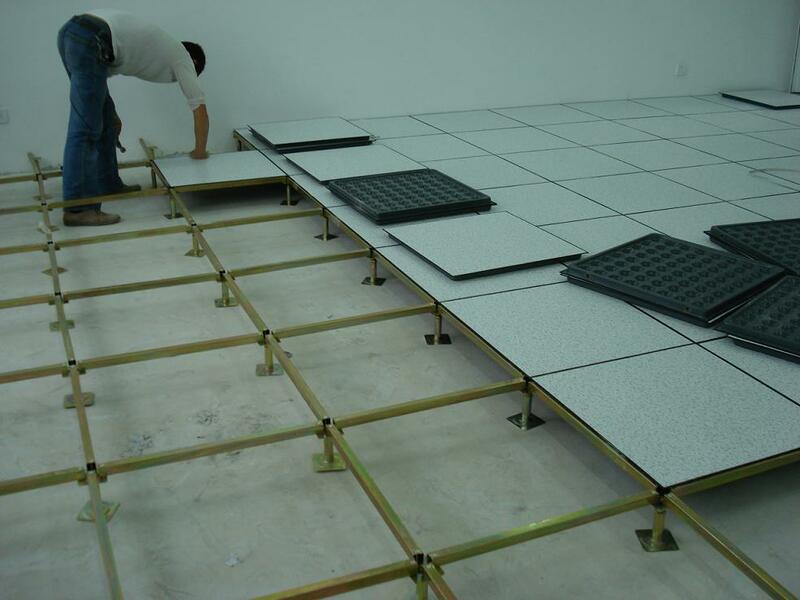 8 .After fixing iron angle, precisely measure the size of floor,then cut and place it. If need placing plug, use cutting machine to open holes as per actual dimension. 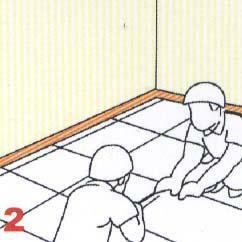 9.After placing floor,check on time,adjust the parts which are not flat. Finally fill in gap when cutting with glass cement. 10.If the temperature difference between day and night at construction site is big,(high altitude,temperate area or arctic area), all the edges should remain 3mm gap. After placing all floors, check whole project carefully and improve all the imperfect parts. 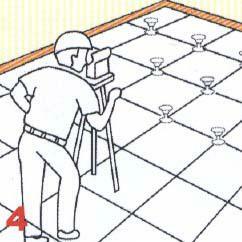 1.When walking on the floor,no noise,no movement and good stability. 2.Clean surface, clear pattern, mean color and joint, straight edged, no crack, no corner dropping, no lack of edge etc. 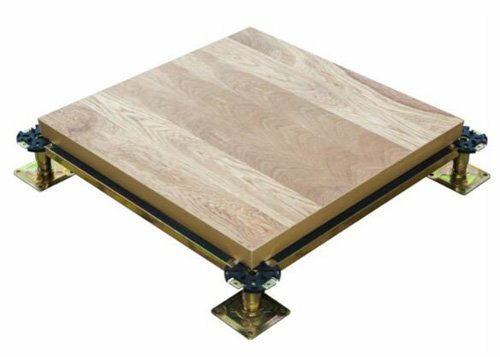 3.All materials of joint edge and dimensions should follow design requirement and construction regulation. Datum level:It is a wall which owner requires to be installed with whole floor panel. Vertical:It is a straight line which is vertical to datum line.The largest distance between the vertical line and adjacent wall is 600mm. 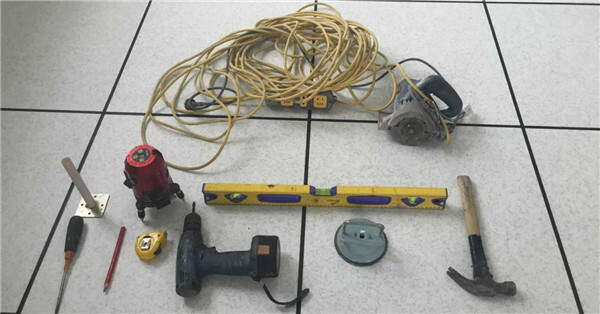 3.Choose a corner as start point, find a parallel on wall, tie two paralleled wax wire 595mm from wall,the wax wires are hard to break and extend, two wires must be vertically distributed. 4.While pulling the paralleled line, screw the four pedestals. 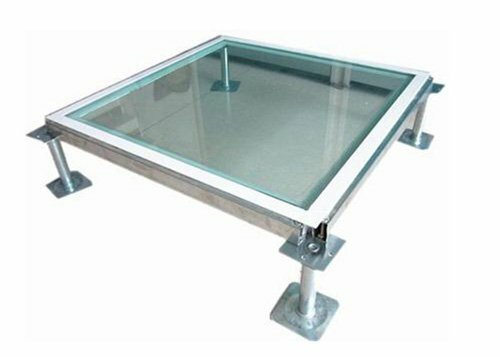 After confirming the height and placing the first floor, stringers and pedestals must be fix with screws, use level bar to adjust floor, at last, lock nuts on the pedestals. Note: each edge should remain one row for final cutting and placing, while paving, floors can not be bended which may affect flatness . 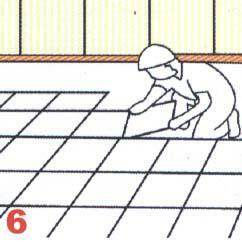 7.After placing last row, iron angles in each corner may be firstly fixed, then cut all-round floor. 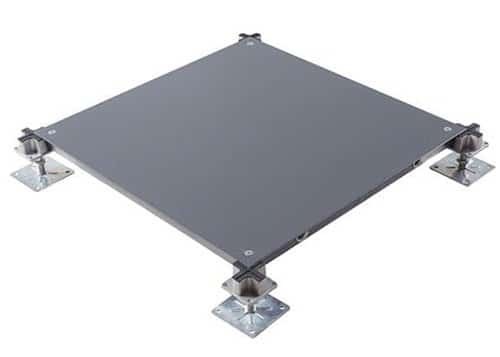 Normally floor of last row should be cut, the cut side can be put on flat head pedestal directly, there is no need to use stringer for last row.